The fire in Riverside County has so far charred more than 13,000 acres with fire officials estimating full containment on Aug. 9. SCE crews and personnel at one of the Cranston Fire laydown yards. SCE crews take part in a morning safety tailboard. The Cranston Fire has burned more than 13,000 acres. 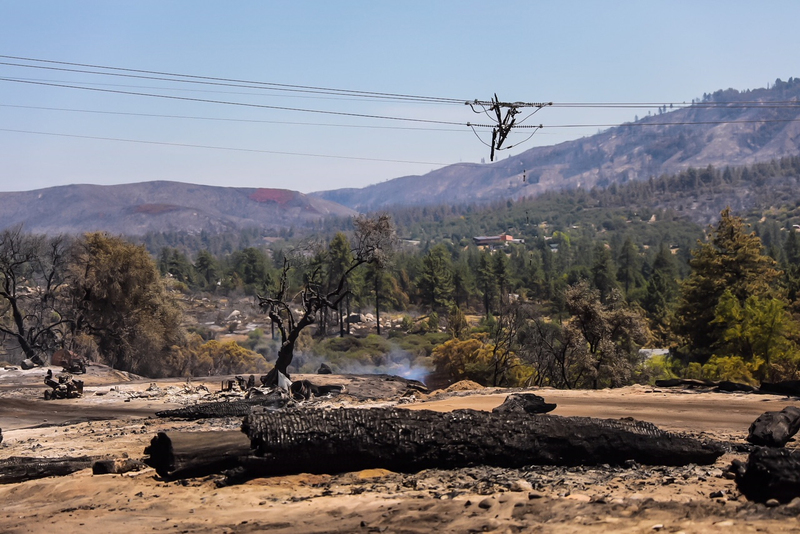 With close to 60 percent containment of the Cranston Fire in Riverside County, more than 200 Southern California Edison personnel, including crews in mountainous and remote areas, are working to make repairs and restore power. There are about 150 customers without power, down from the original 4,000. 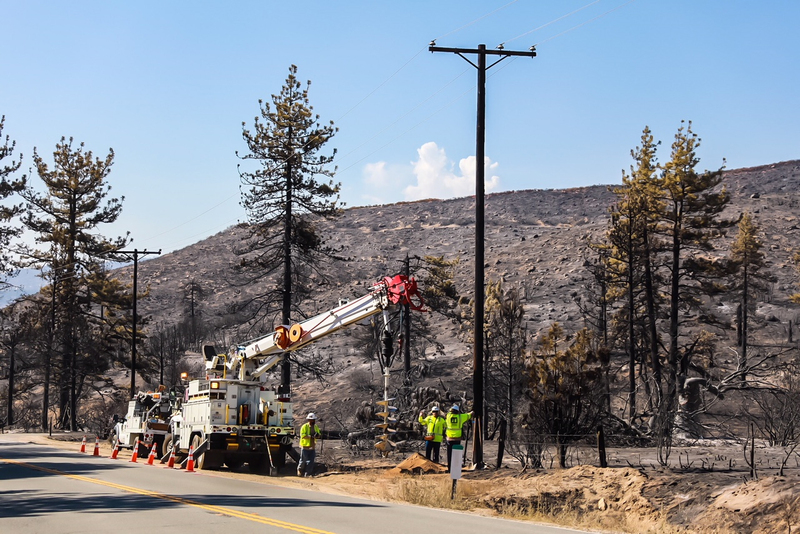 Over the weekend, SCE crews completed damage assessments and identified 126 damaged power poles from the fire that has consumed more than 13,000 acres. 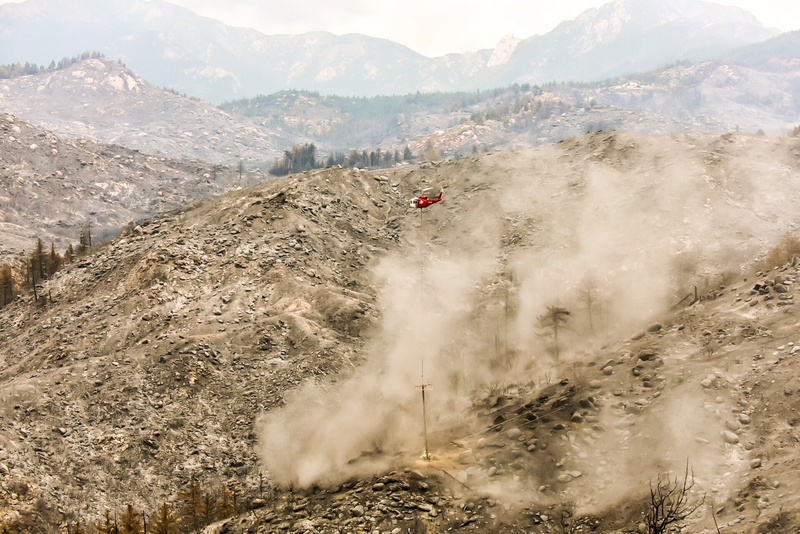 The fire has impacted the areas of Cedar Glen, parts of Gardner Valley, Idyllwild and Pine Cove. Crews have so far repaired about a quarter of the damaged poles. 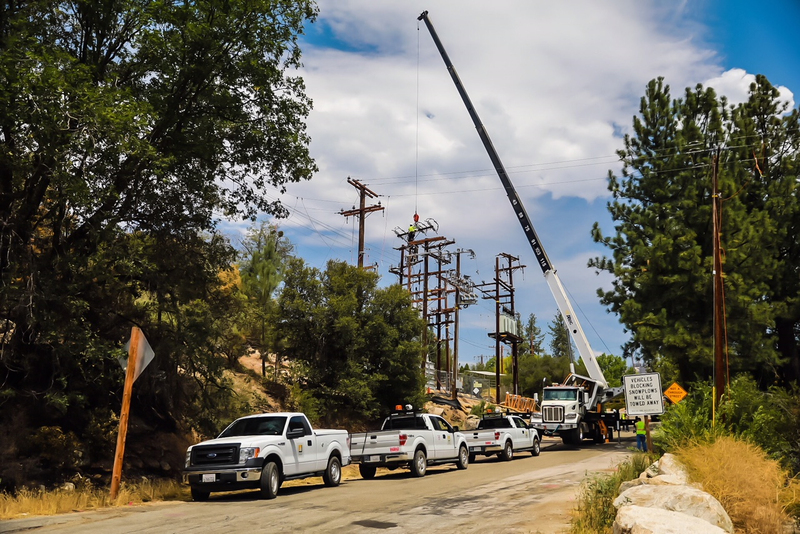 An SCE base camp was established on Anza Electric Cooperative property. 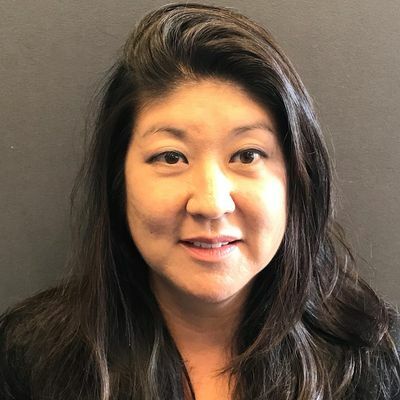 Anza owns and operates its own system, but is connected to the grid through SCE’s lines. Crews have set up a couple of laydown yards for equipment that will be used in the repairs. 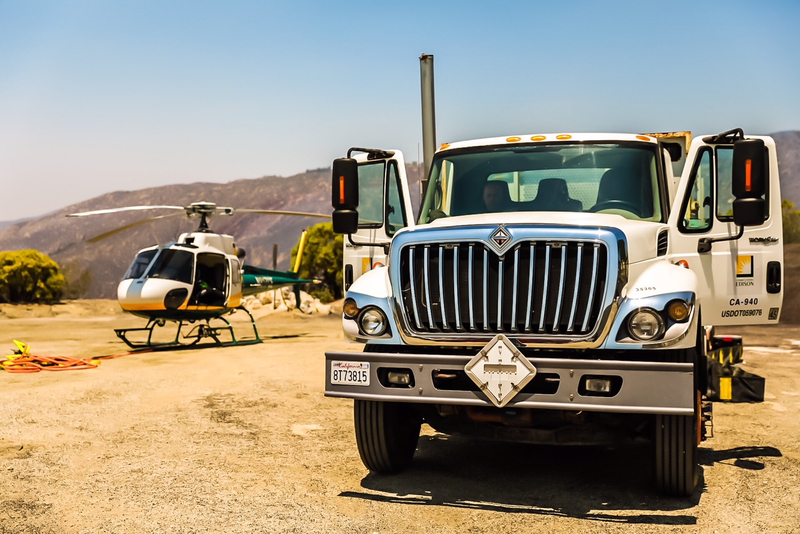 SCE has also moved its Mobile Command Center near the damaged area and has also started helicopter operations to assist in the rugged and often difficult to access areas. Fire officials estimate full containment of the fire will take place on Aug. 9.